Finally, finally guys!!! I finally succeeded in meeting my faves!!! Countless hours have been spent outside of hotels, venues wandering around Amsterdam in the hopes of finding my faves for that precious selfie. This week it finally happened and what seems like with the best people ever!! 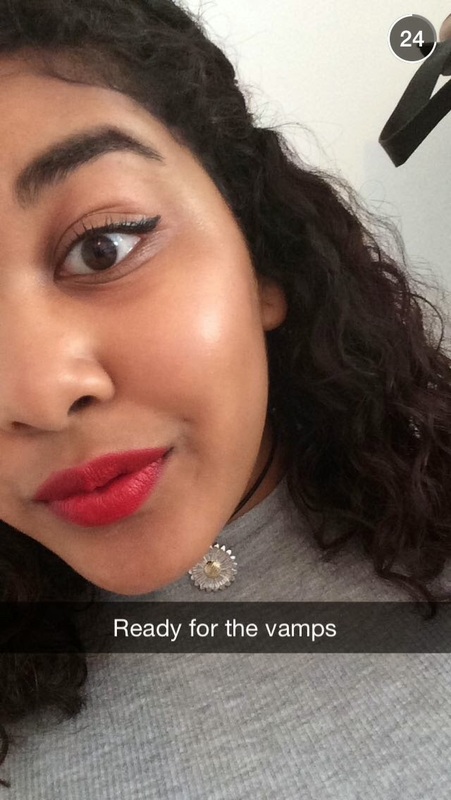 On Monday I went to see The Vamps in concert with my lovely friends and they were brilliant. Out of all the concerts I’v been to (which is quite a lot) this was by far my favourite. The Vamps perform with such excitement, you can see them throughly enjoying every single minute of their gig. They play with so much passion and they are so talented! After the concert we went straight to the hotel, hoping that they would come out for some photos. We saw them having a drink in the cafe, but unfortunately they didn’t come out. The next day however, we went back and right before they got in the car back to the airport they took the time to meet every single person standing outside of the hotel. Honestly I never met such humble and kind people before, they stayed so friendly and calm and really made sure they took photos with everyone. I even had a teeny tiny conversation with James, god knows how I even formed normal sentences while being so overexcited! Yup, this week was so damn amazing. Who would’ve thought I would actually get this lucky?! Have you heard of The Vamps before?